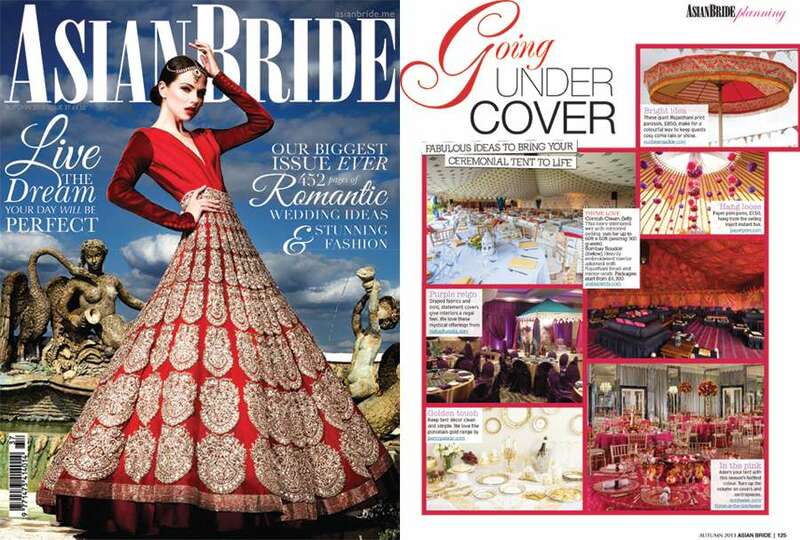 Autumn 2013 We are really pleased to be featured in Asian Brides Magazine issue no. 37. 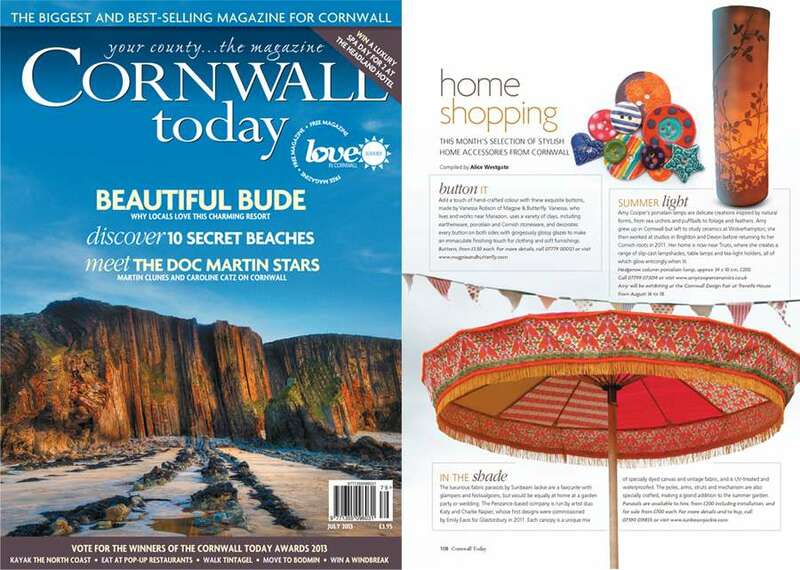 July 2013 This month we are delighted to be featured in Cornwall Today. 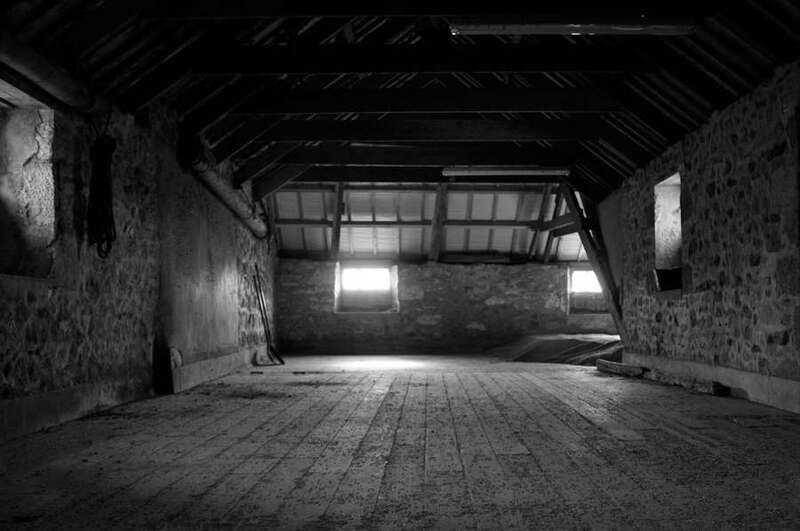 Cornwall Today July 2013. 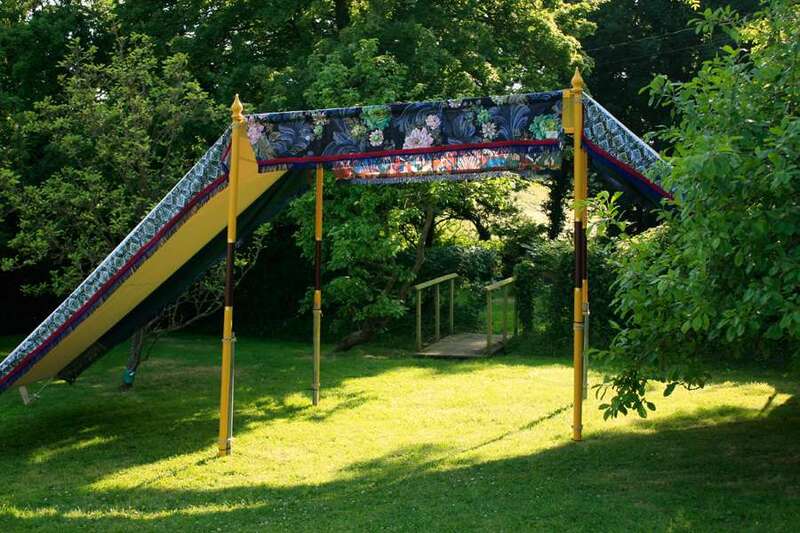 June 2013 Just back from the launch party at Camp Kerala for Glastonbury festival having set up a commissioned parasol. 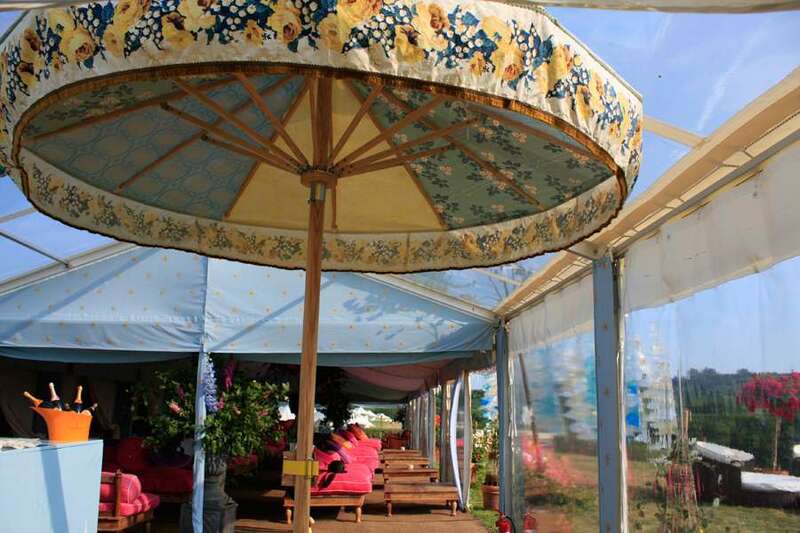 The parasol looked fantastic in their champagne bar! 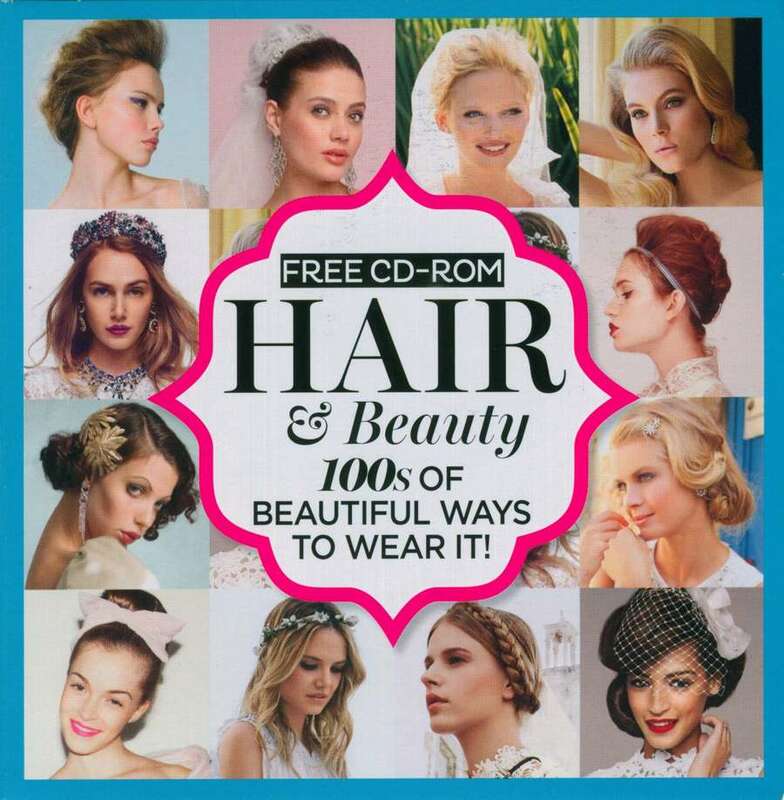 June 2013 This month we are featured on the Wedding hair and beauty CD ROM 2013 on the cover of BRIDES July/August 2013. 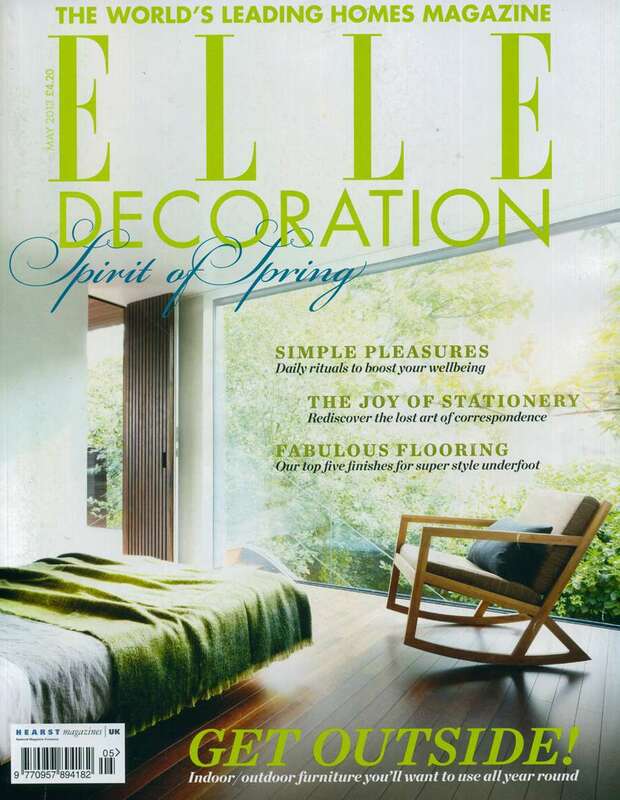 Look out for us in the Something Special & Wedding Gifts sections. 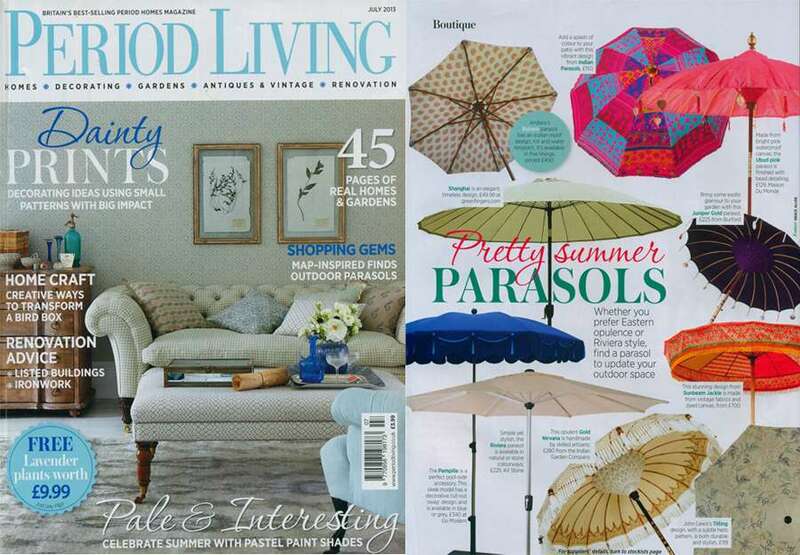 Sunbeam Jackie parasols are recommended in Elle Decoration - Elle Decoration no.249 may 2013 Spirit of Spring. If you are interested and would like to know more about any of our news stories or indeed anything else about Sunbeam Jackie then please get in touch. 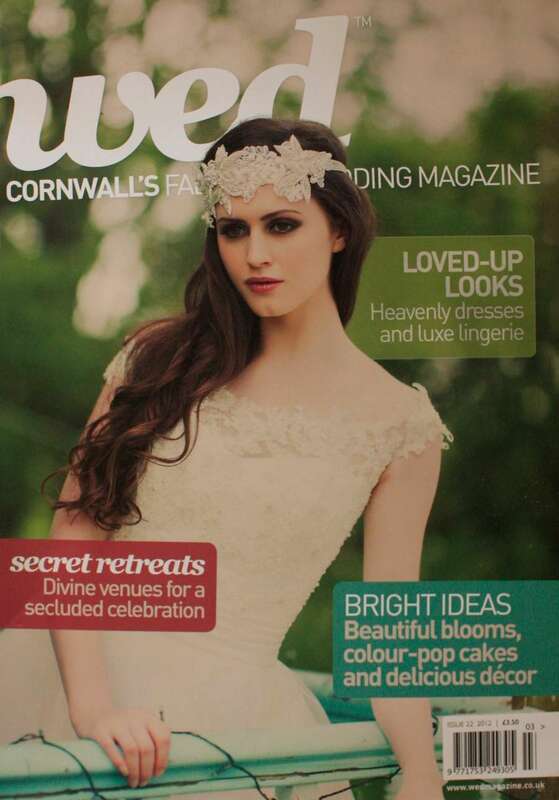 Sunbeam Jackie appear in WED magazine - WED issue 22 2012. If you are interested and would like to know more about any of our news stories or indeed anything else about Sunbeam Jackie then please get in touch.